Powerhouse. 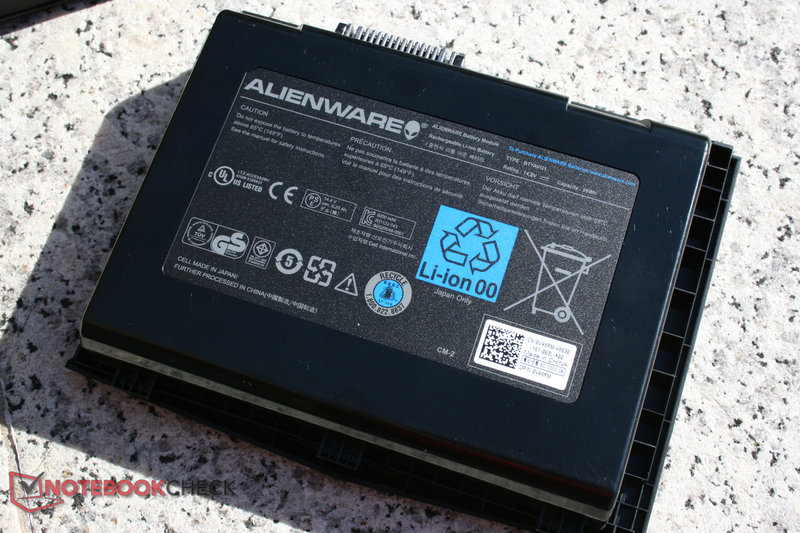 In our review update, we look at the fastest notebook graphics system currently available, the GeForce GTX 580 SLI, in the very well-equipped Alienware M18x. 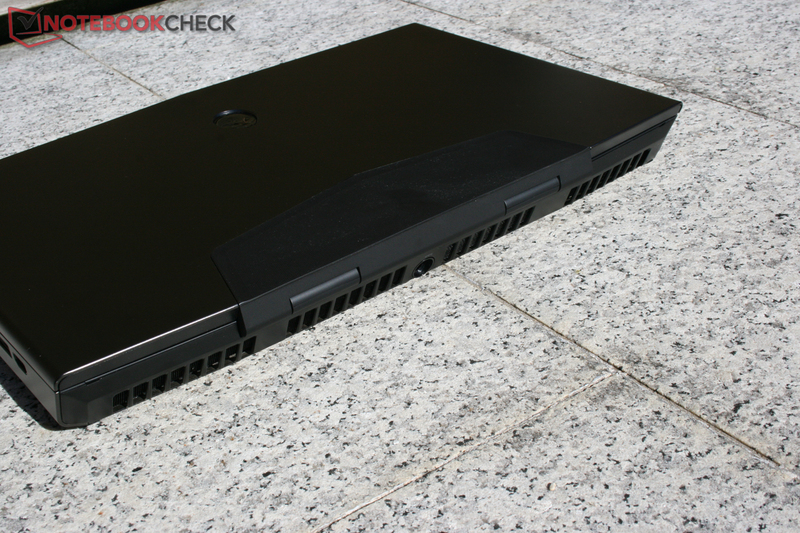 The Alienware M18x is one of the largest and most powerful gaming laptops available, and we have already thoroughly tested the model with two AMD Radeon HD 6970M units (CrossFire). Now the alternative version with 2x GeForce GTX 580M in SLI mode has reached us, and looks set to achieve new records in performance with its integrated SSD and Core i7-2920XM CPU. 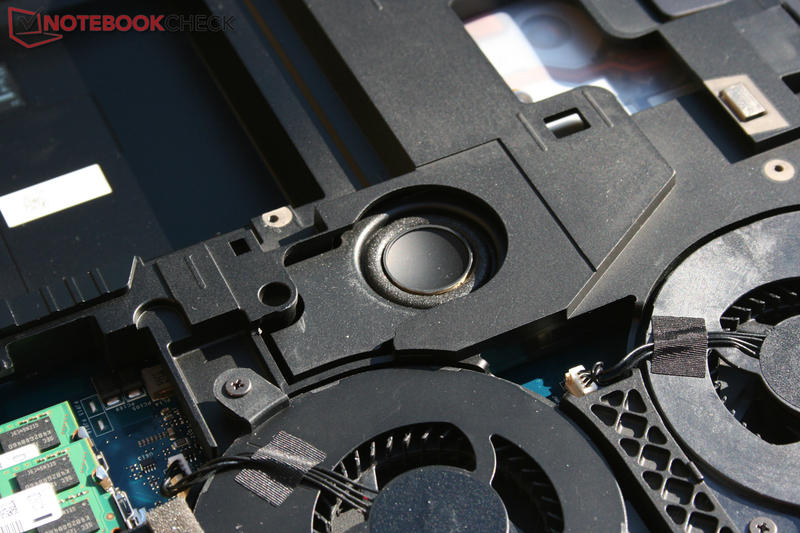 As the case, screen, and input devices in this model have not changed from the previously reviewed version, we only look at the components which have been altered, with some additional tests and readings. 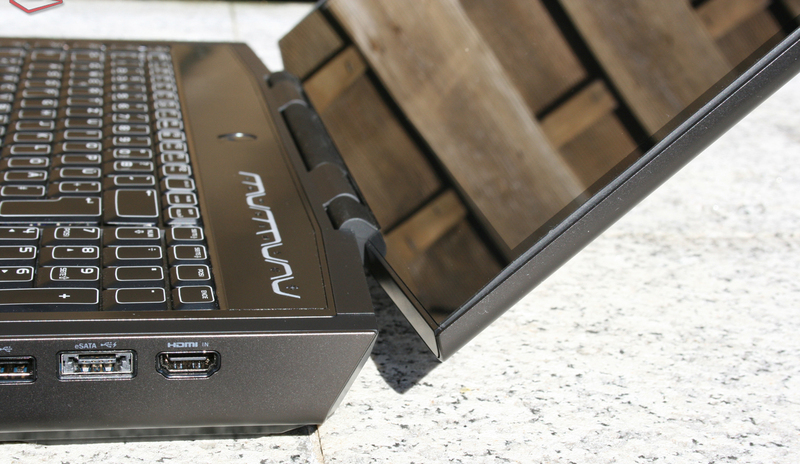 The M18x offers plenty of choice for connecting external storage media, with USB 3.0 and eSATA ports. We tested both of them using an Intel SSD 510 (ASMedia ASM10510 for USB, SataLink SPIF215A for eSATA) with 250 GB. The eSATA connection was the fastest at an average of 180.8 MB/s. The USB 3.0 connection followed shortly behind at 165 MB/s. As you would expect, the USB 2.0 port came last by some way at 28.1 MB/s. The integrated AR8151 Gigabit LAN port reached 851 MBit/s in our testing (direct connection to a Sandy Bridge desktop with DP55KG mainboard). However, an Intel Sandy Bridge test machine with AR8151 did manage to reach the maximum data transfer rate of 940 MBit/s. We tested the WLAN Killer Wireless-N1103 card against our older Trendnet TEW-633GR, and managed about 49 MBit from a 3-metre distance. By way of comparison, an Intel 1030 WLAN card only reached 37 MBit. The 2010 MBP13, however, reaches 63 MBit/s which is a little better. 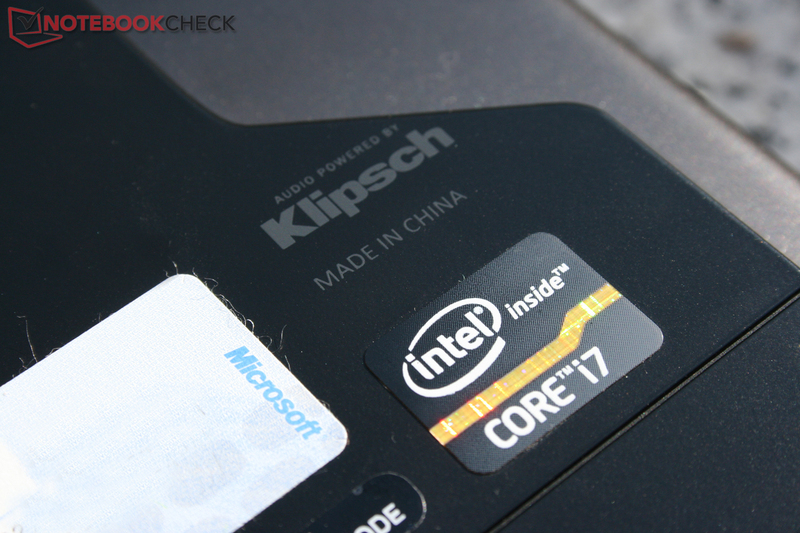 The input devices are the same as in the Radeon HD 6870M CF model, and made a very good impression on us. In addition we tested the keyboard for ghosting. Unfortunately the result was a little disappointing, as for example the combination of s + d + space bar is not recognized. For such an expensive gaming notebook this is something of a disgrace. 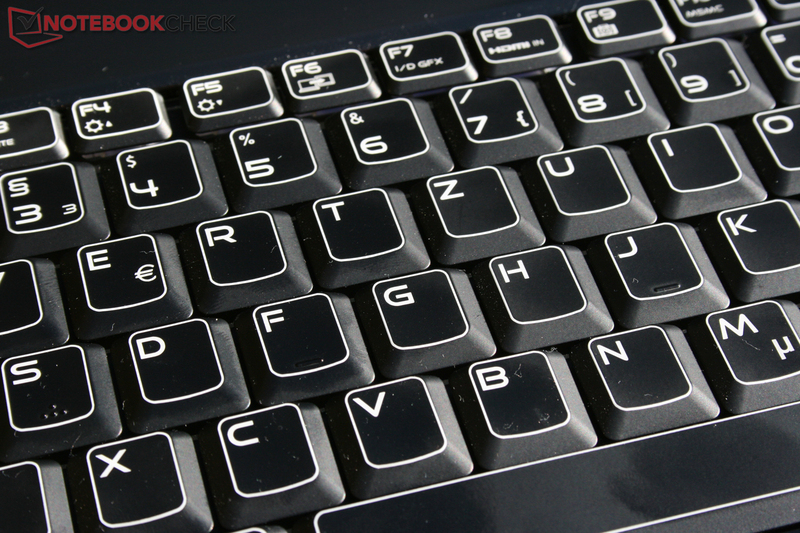 In this reviewer’s opinion, the keyboard is not perfect; it does not sit completely firmly, which makes typing feel a little spongy. 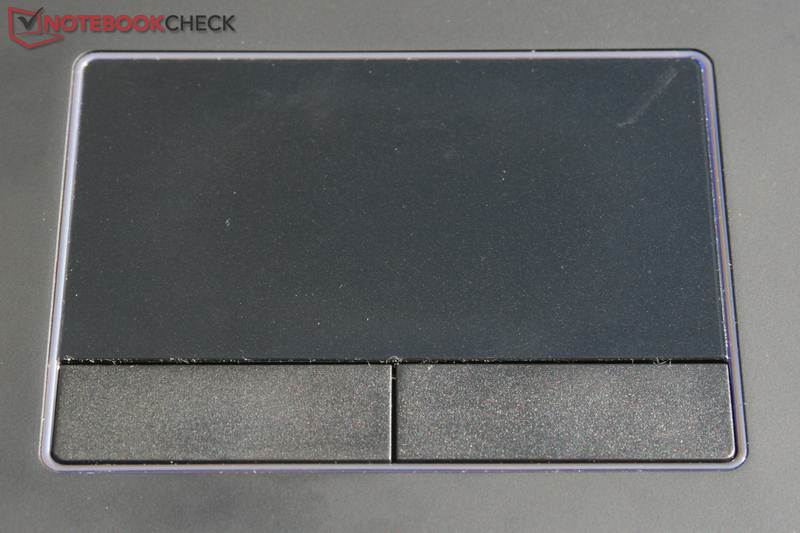 However, the touchpad is a good size and is comfortable to use. The display in our review model is the same as in the 6970M CF version, and so we refer you again to the previous review. But in addition to that, we did notice some flickering on a horizontal striped pattern (as on this page). An overclocked Intel Core i7-2920XM main processor, two GeForce GTX 580M high-end graphics cards in SLI mode, a Samsung PM810 SSD and 8 GB of DDR3 RAM all promise absolute top performance. It means the M18x currently in front of us is almost the highest configuration possible. Only the second HDD bay remains unused, and 16 GB of RAM would be possible. The Core i7-2920XM was already overclocked in our review model as delivered, and so it reaches up to 4 GHz in Turbo Boost mode. In the Cinebench R11.5 test, only 5% separates it from the desktop Core i7-2600 model. 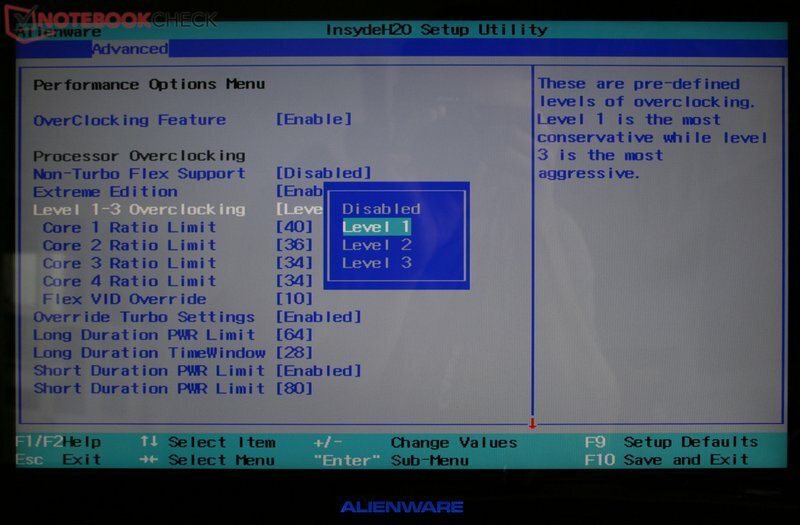 But as there are additional options in BIOS for overclocking, higher speeds are also possible. 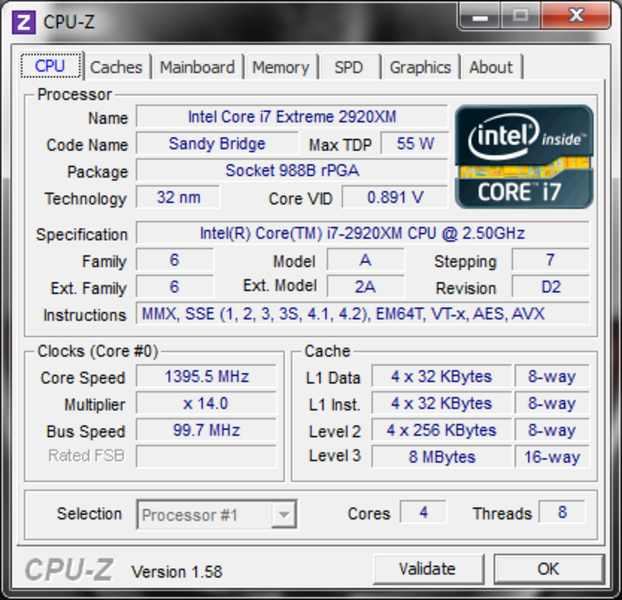 The M18x fitted with the 6970M CF, for example, was tested at 4.2 GHz and reached exactly the same scores as the Core i7-2600. 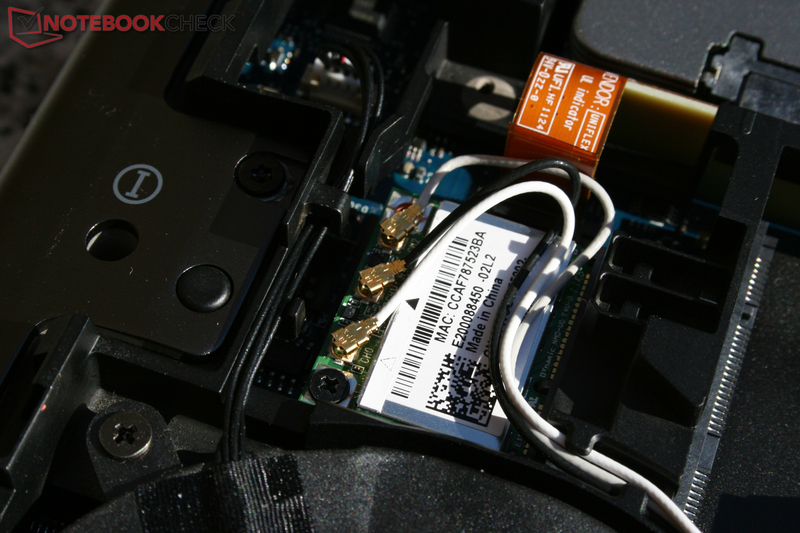 For simple overclocking, Dell offers three easy-to-adjust overclocking levels in BIOS. 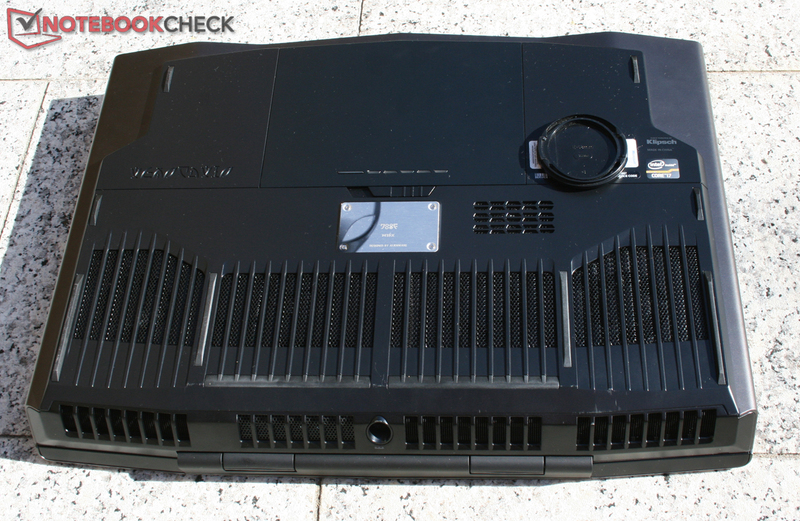 These first and foremost change the Turbo Boost multiplier, but also the core voltage in part. This made possible an improvement of up to 12.9% for single-core performance, and up to 17.6% for multi-core performance (Cinebench R11.5). Our review model was delivered and tested in Level 1 (a 7% and 12% performance boost respectively, compared to the not-overclocked processor). 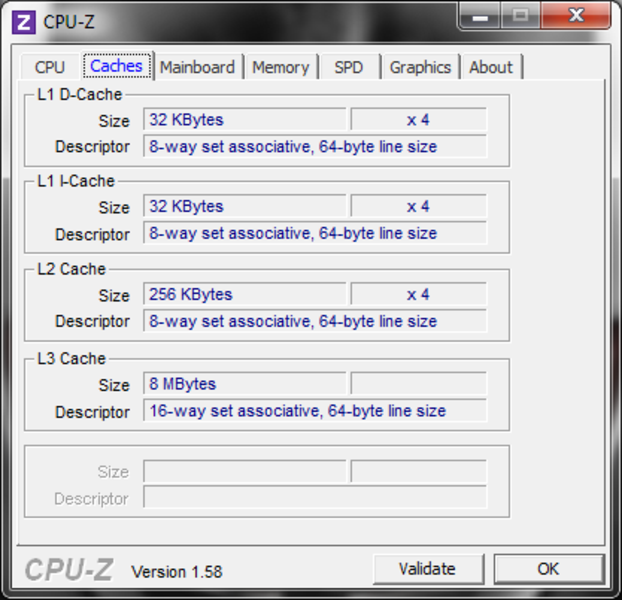 The two PCMark benchmarks by Futuremark are supposed to evaluate overall system and application performance. The results speak for themselves, perched at the top of the league along with the older M18x and the Clevo X7200 (for e.g. in the XIRIOS W710). This proves that the M18x is equipped to handle virtually all usage scenarios thanks to its SSD, overclocked high-end CPU and powerful graphics system. Only with professional 3D programs are professional graphics cards at a clear advantage because of their optimized drivers. In the SpecViewPerf 11, the M18x at times only performed at the level of a single Quadro FX 880M mid-range graphics card. 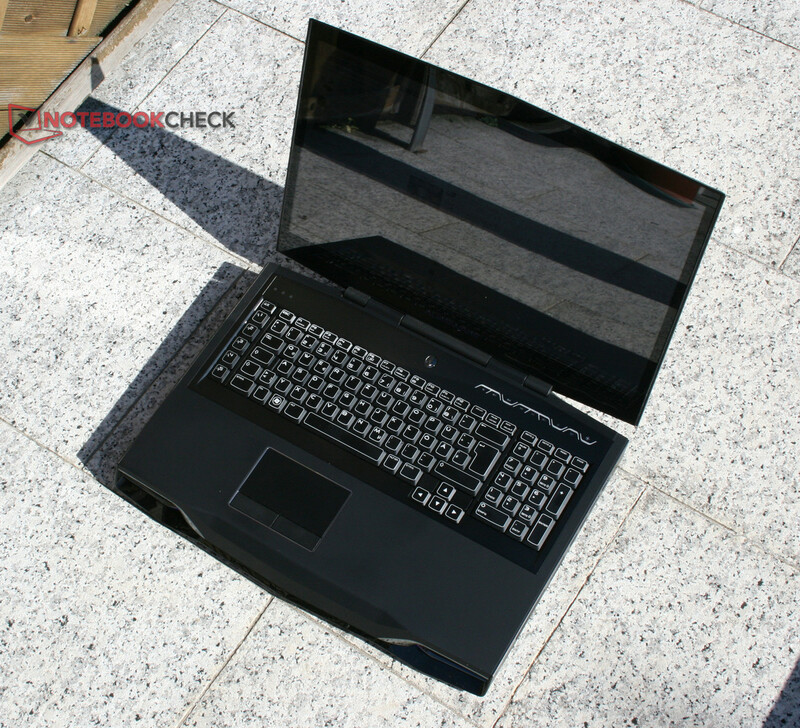 Professional users might find what they are looking for with the Schenker Xirios (Nvidia Quadro 5010M) for example. 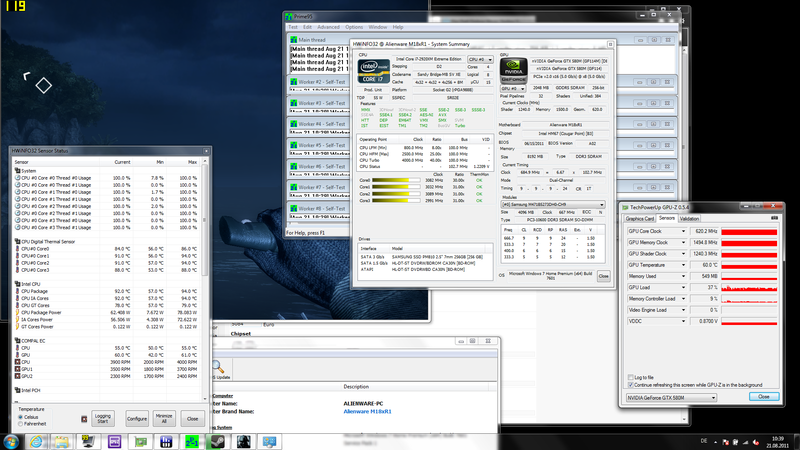 With the Futuremark synthetic graphics benchmarks and the Unigine Heaven, we first would like to record the theoretical performance of the GTX 580M rig. In the Unigine Heaven test, the GTX 580M SLI takes a clear lead of 22% ahead of the 6970M CrossFire in the same machine (with a slightly faster overclocked CPU). 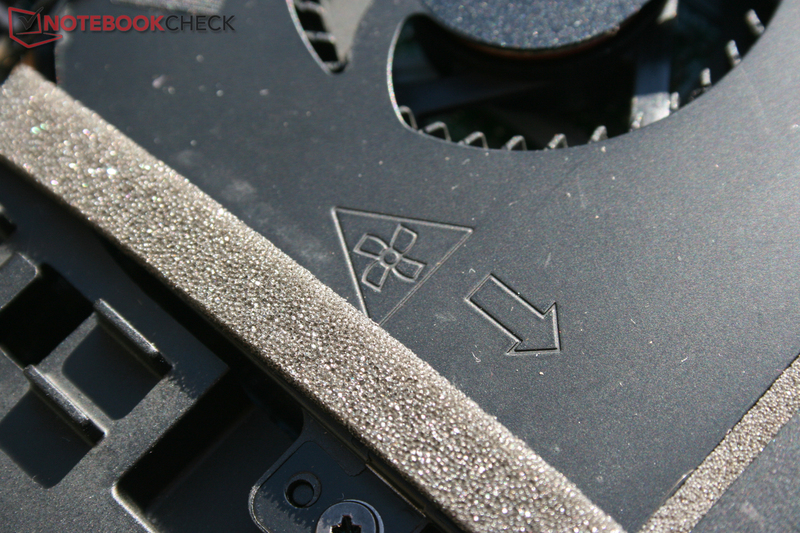 The Radeon 6990M in the CrossFire combination also stays 6% behind the Alienware machine despite its more powerful desktop CPU. In comparison, the 580M SLI in the X7200 is able to claim the top spot again by about 12% thanks to its powerful six-core processor (making it the fastest of the mobile graphics cards). In the 3DMark 11 GPU test the SLI graphics system is only 2% faster than the one in the 6970M CF. The 6990M CF is even a clear 13% faster, while the 580M SLI in the Clevo Barebone can add 9% through its desktop processor. In the 3DMark Vantage GPU test, the 580M SLI has a clear lead over the 6970M CF (17% slower). In the older 3DMark benchmarks (2001-06), however, the Radeon HD 6970M CF won – again thanks to the somewhat faster overclocked CPU. 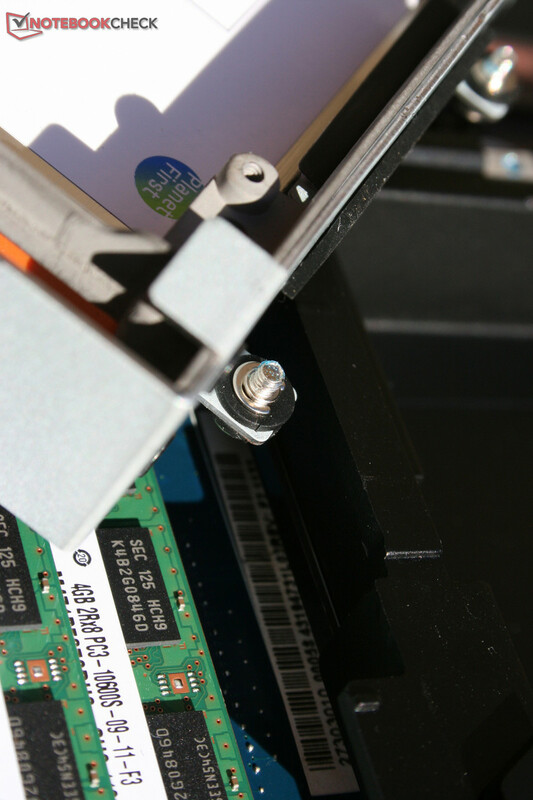 For the integrated SSD, Dell still relies on the old Samsung PM810 (PM830 recently introduced). This is part of the older SATA 3 Gbit/s generation and so it can’t keep pace with modern top-of-the-range models like the OCZ Vertex 3 or Intel 510. Compared to the latest Intel 320 series (also still SATA 3 Gbit/s), the PM810 solid state drive keeps up well, being only 5% behind. 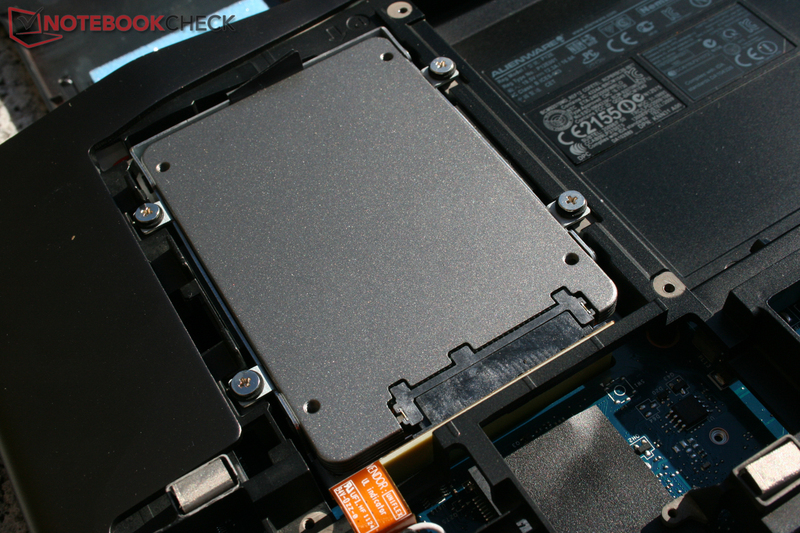 However, the Intel 510 series connected with SATA 6 Gbit/s, the OCZ Agility 3 and the Vertex 3 are substantially ahead with 37%, 58% and 76% leads respectively (average of all results from the HD Tune reading benchmarks, AS SSD and CrystalDiskMark). But compared to traditional hard drives as well as RAID systems made up of HDDs, the PM810 still rates very highly. This can also be felt during everyday use, with thoroughly impressive start-up times and a fast Windows boot-up (30 seconds with a fully installed system with all games and benchmarks). 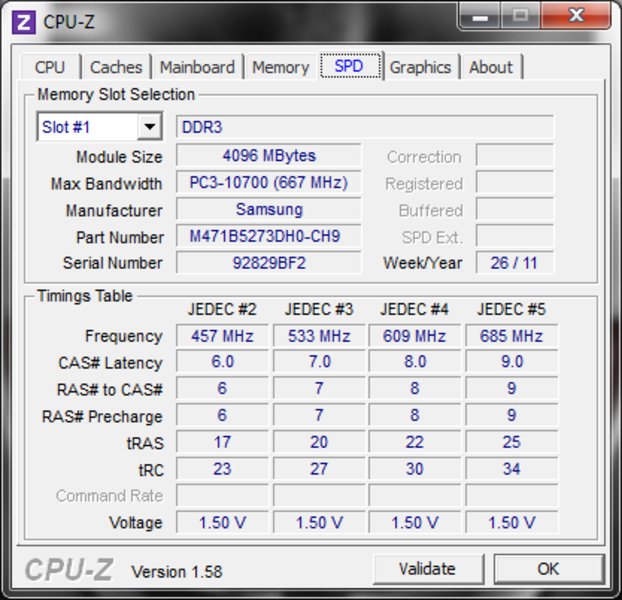 An up-to-date driver is essential with SLI and CrossFire systems especially. We did not find the 275 series driver delivered with the laptop to be convincing. 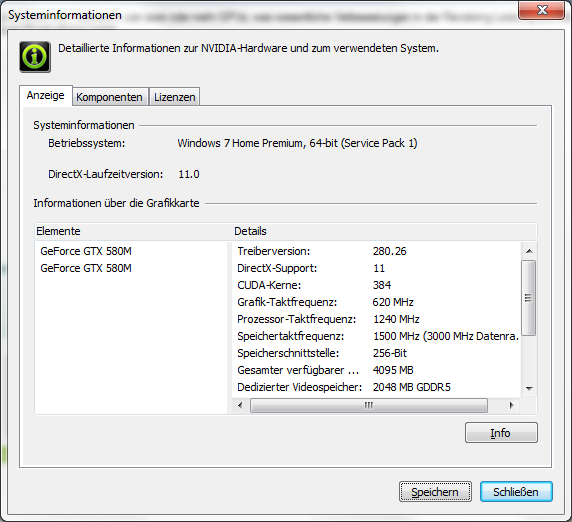 Therefore we updated to the latest 280.26 version (modded driver, as the official one from Alienware is not quite out yet and the Verde driver from Nvidia would not allow itself to be installed). The new demo of this 3D shooter in the Warhammer 40K universe is convincing, with fast third-person action in a familiar setting. The level one ‘fight’ in the demo ran absolutely smoothly in our test at maximum settings (high) and 1920 x 1080 resolution, with 144 frames a second. So there is room to spare for AA settings. In comparison the integrated HD Graphics 3000 (switchable) was completely out of its depth, with a maximum of 16 fps (overclocked CPU, minimum settings). 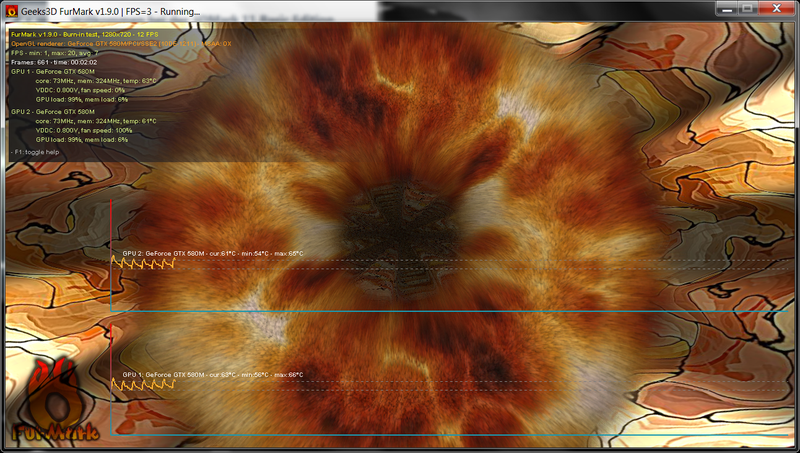 We started the MMORG Rift for a short time with the settings on "ultra" and maximum anti-aliasing. The cathedral section at the start of the game could be played smoothly at 50 fps. You will possibly have to turn the anti-aliasing setting down a little if you want to get through the large-scale battles later in the game without encountering any issues. The brutal first-person shooter Bulletstorm is based on the Unreal Engine 3.5, and ran smoothly in our test with maximum details and 8x AA (level one of the demo). Fraps gave a constant frame rate of 60-62 fps (apparently an in-game limit). As well as Grand Theft Auto 4’s integrated benchmark, we also tried it on the maximum settings (including view distance). Fraps recorded 32 fps here, but we did see some mild stuttering. Therefore it would be wise to reduce the detail setting somewhat. Age of Empires Online, the free-to-play real-time strategy game, ran constantly above 100 fps during our test (first missions) on the maximum details setting. Plenty of room to spare for the large battles later on. The old ET: Quake Wars still relies on OpenGL, and even with 16x AA and maximum details it managed to conjure up a fluid 55-60 fps during the test. 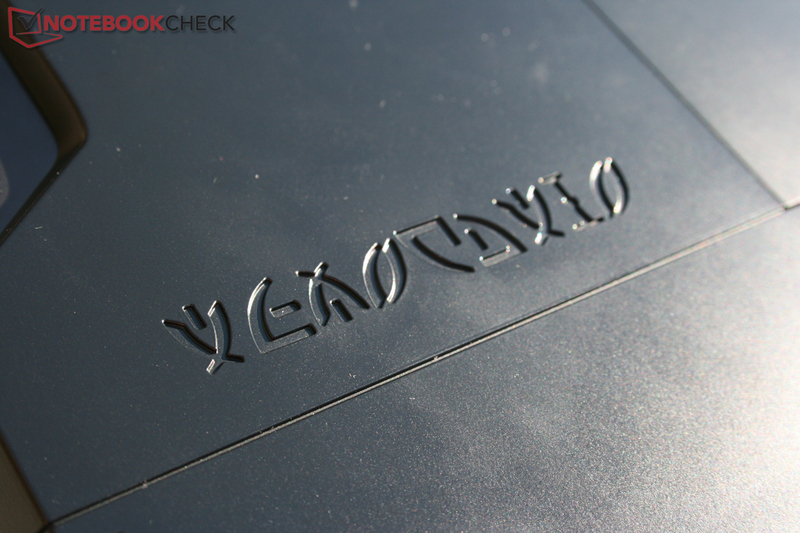 As expected this gaming notebook, full of high-end components, gives outstanding gaming performance. Apart from a few exceptions (like GTA 4, Witcher 2 or Crysis 2) it can run all of the latest games smoothly at their highest detail level and with anti-aliasing. If you exclude the FIFA 11 demo from the analysis (as this apparently does not use SLI) the 6970M in the M18x is about 8% slower on average (with FIFA 11 only -3%). The 6970M really shines in Crysis 1, Metro 2033 and also Call of Duty Black Ops (although in the Clevo X7200, the SLI combination is faster). However, it could also be the 2920XM in the older M18x, overclocked to a slightly higher level, that was able to tease out a little more performance. Incidentally the Radeon HD 6990M CrossFire in the powerful Clevo Barebone laptop, with a desktop CPU, could only get 3% ahead. 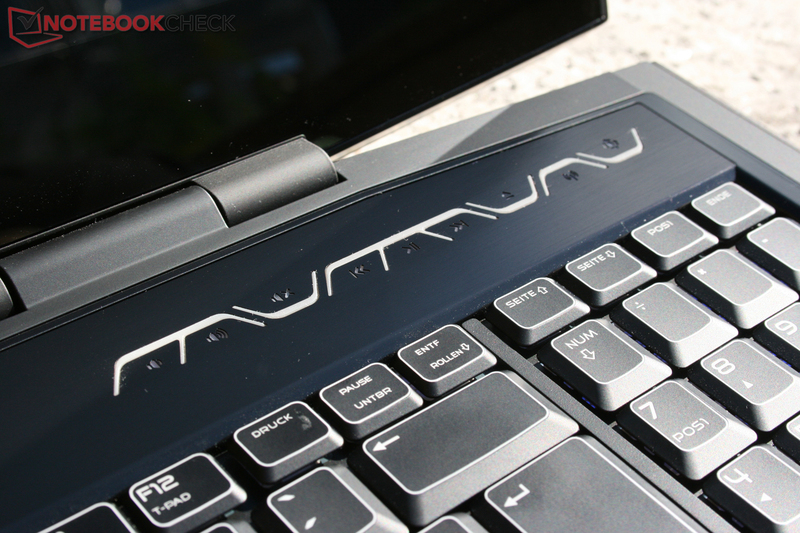 The GTX 580M SLI, however, is 11% faster in the same notebook. 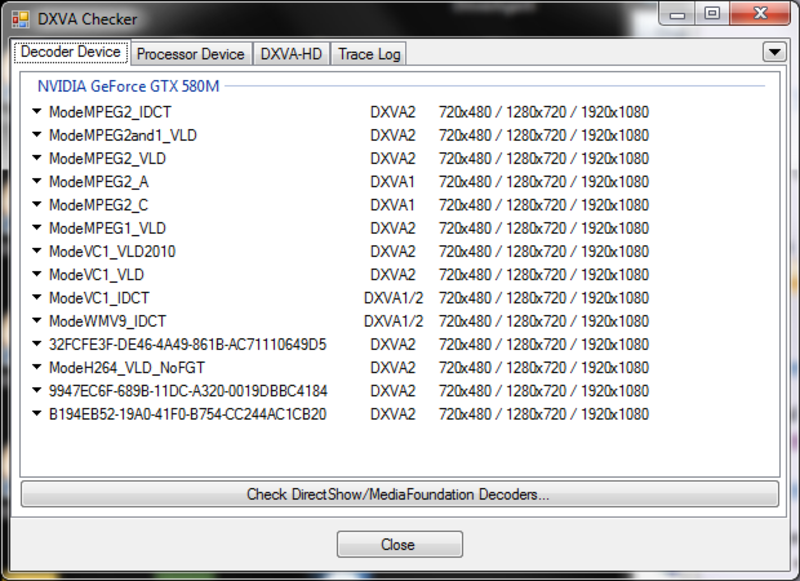 So the GTX 580M SLI with the latest driver set-up could be the fastest graphics system in the Alienware M18x. As we expected, HD videos did not cause the M18x any problems. 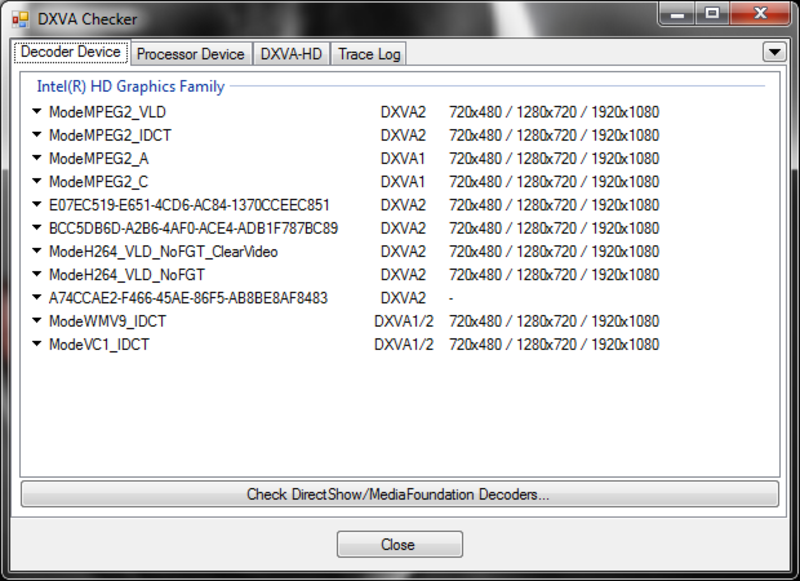 The integrated Intel HD Graphics 3000, and of course the GeForce GTX 580M SLI, both offer video decoding for the currently used formats in hardware. If the resolution or codec is not supported, the processor has enough power on its own to smoothly run 4K videos in Flash (Youtube). 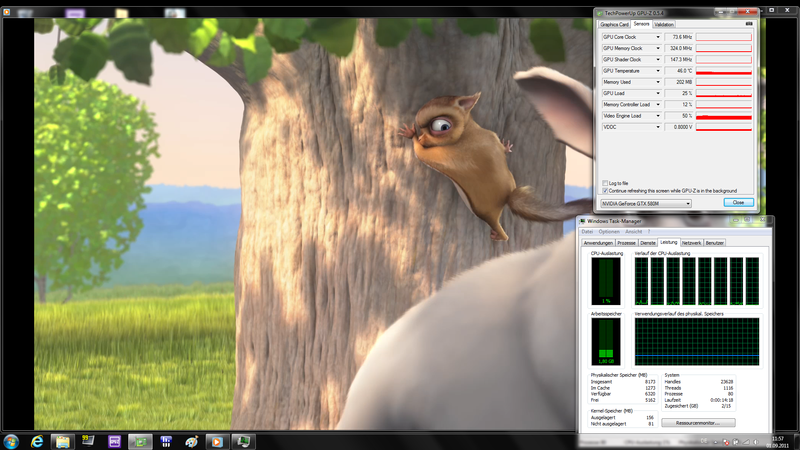 Big Buck Bunny (1080p H.264) was played with an average of 1% CPU usage by the Intel Graphics and the Nvidia graphics card alike. The Intel HD Graphics 3000 was even significantly faster in the DXVAChecker benchmark, with 192 fps, than the Nvidia PureVideo HD unit with 83 fps. With 2K videos, however, neither unit intervenes, so with Sintel (2K, H264) the CPU has to handle it with 21% usage (DXVABenchmark, 173 fps). But there was no danger of stuttery reproduction or frame drops in any of our tests; the M18x is extremely well suited to handle HD videos of any type. The GPUs aren't really comfortable with Furmark. Last year we saw more and more notebooks which could not always summon the maximum performance of the built-in components. 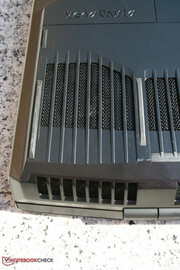 Cooling systems that were too weak, or mains adaptors that were too small, forced the manufacturers to make compromises. 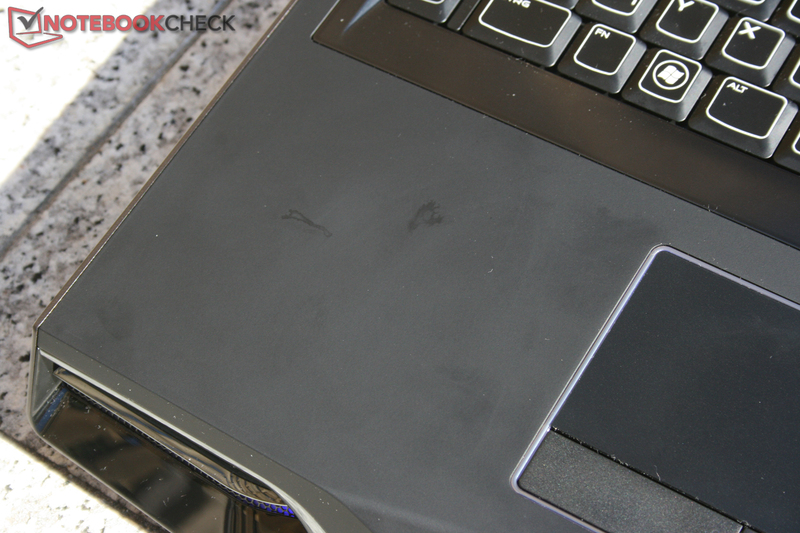 But when it comes to pricey gaming notebooks, this would not be acceptable. 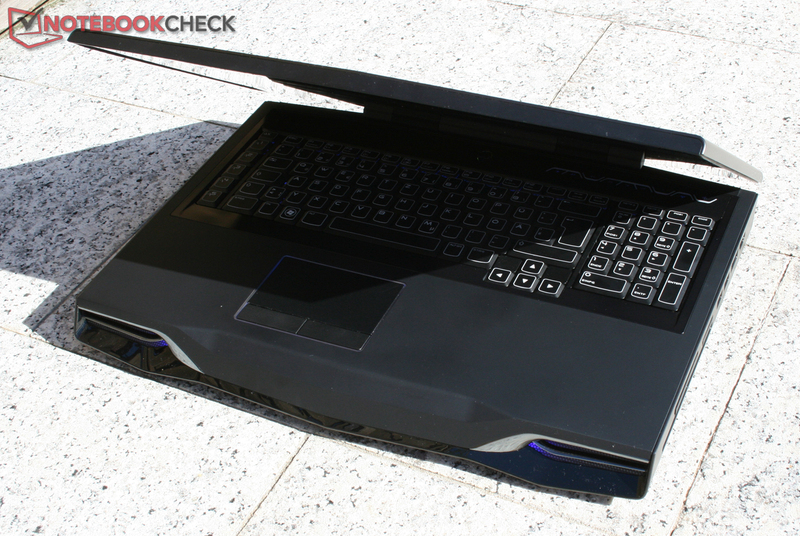 The Alienware M18x with GTX 580M SLI and 55W Core i7-2920XM is the most powerful model of the series. Thanks to the well-designed cooling system, a reduction in CPU or GPU speed during normal programs and games cannot be observed. 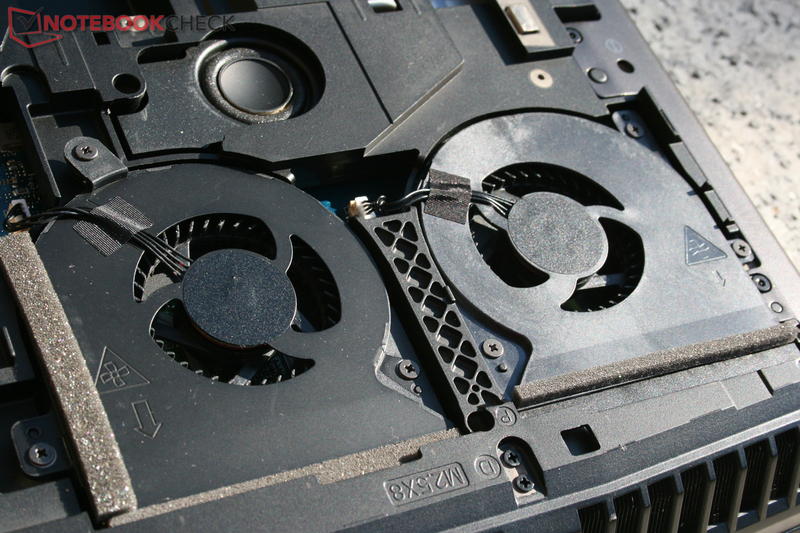 The graphics cards even stay relatively cool with a maximum of 72°C. The processor does heat up to 94°C at first, but it then levels off within the completely safe range of 77-85°C (approximate values from HWiNFO32). Interestingly, we still managed to find an instance of throttling. 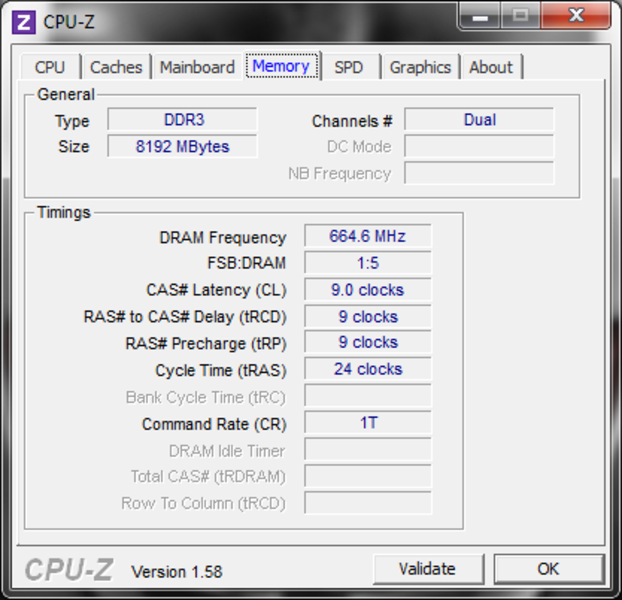 Once Furmark started running, the graphics cards did not always run at their maximum speed of 620 MHz. As soon as the graphics cards reached around 65-67°C, their speed dropped to 73 MHz until the temperature came back down to 54°C. As the GPUs were still a long way from the critical temperature zone, it could be a form of protection for the mains adaptor, or a special routine for Furmark. An extreme stress test made up of Battlefield BC2 and Prime95 ran without problems (and was subsequently used for the temperature and energy consumption measurements as well). The bars of the DPC Latency Checker program almost always remained in the green zone. But the plot seems to show a spike up to 5600 microseconds, which would have caused an interruption to real-time audio or video applications. 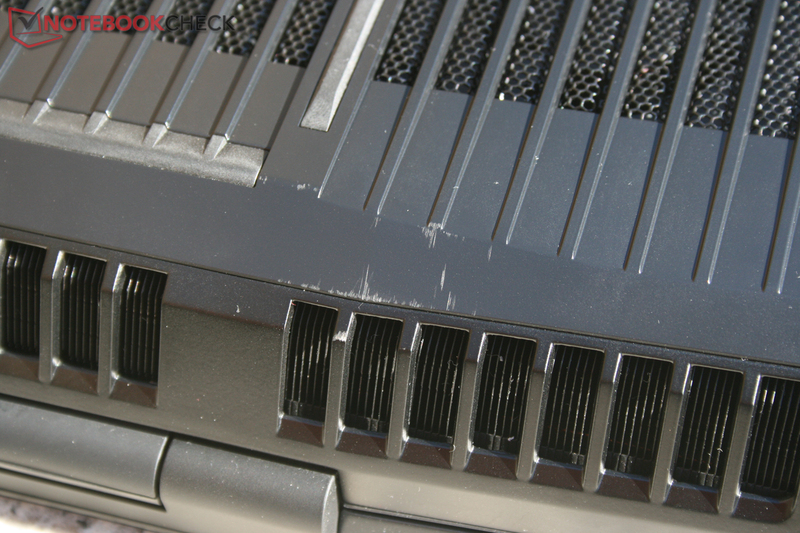 Noise emissions with the GTX 580M system were a little lower than with the Radeon version previously tested. 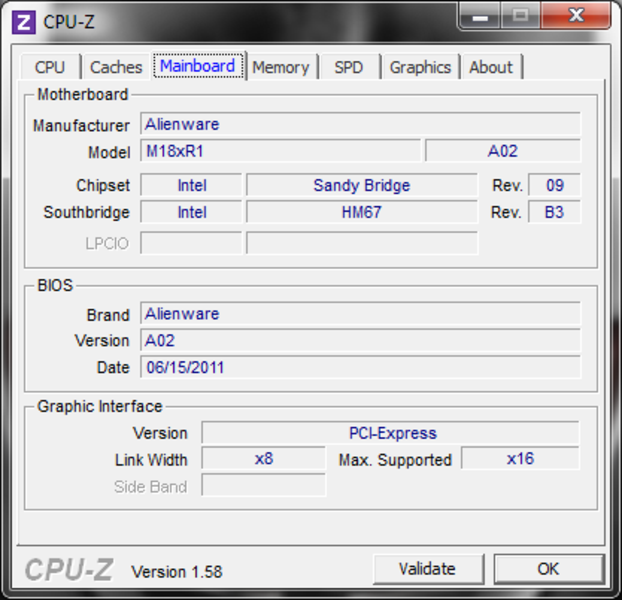 BIOS updates and optimizations could be a reason for this as well as the different graphics system. But as the surface temperatures were also a little higher, it is probable that Dell has optimized something about the BIOS. 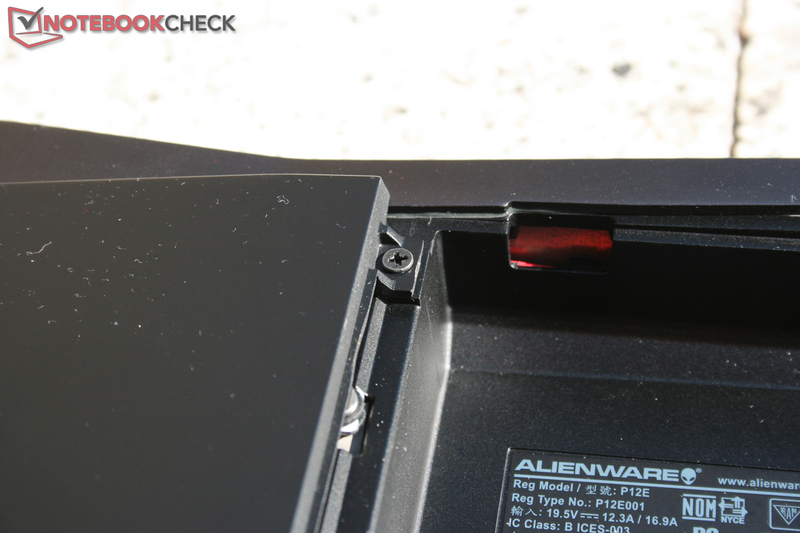 Because of the SSD, the Alienware is almost silent when the fan’s not running. Regrettably the cooling system starts up even in response to light use while surfing the net (though this was during summery high temperatures at the time of testing). It’s not especially loud, but the fluctuations in the noise can be a little distracting. With heavy use the M18x gets very loud, reaching an irritating level of 46 dB(A) during games. The sound itself is a whoosh of air (with a quiet, high-frequency undertone with high stress), so it still has a pleasant quality, but the volume is enough to drown out some of the quieter battle noises during games. We did not reach the 54 dB of the Radeon system during our testing, but the 580M graphics cards mostly had a speed of only 50 MHz in the Furmark test, making it impossible to compare them on completely identical grounds. 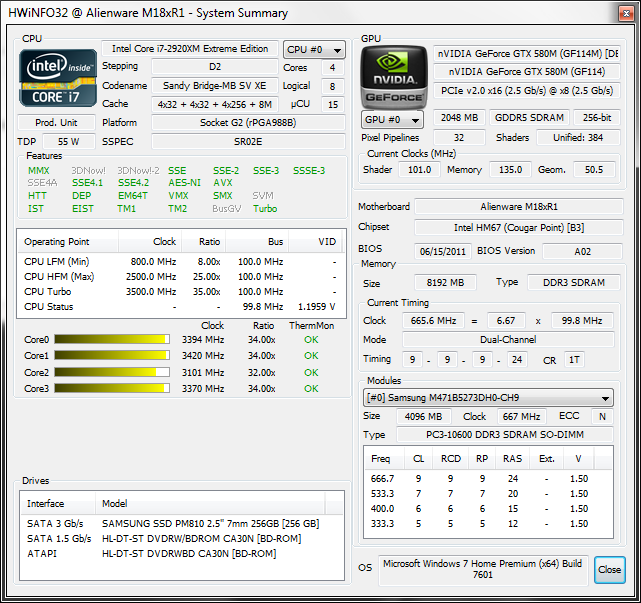 The M18x put in a somewhat poorer performance in the temperature readings than the 6970M CF version. But, these temperatures can be explained by the higher room temperature and the lower volume readings. 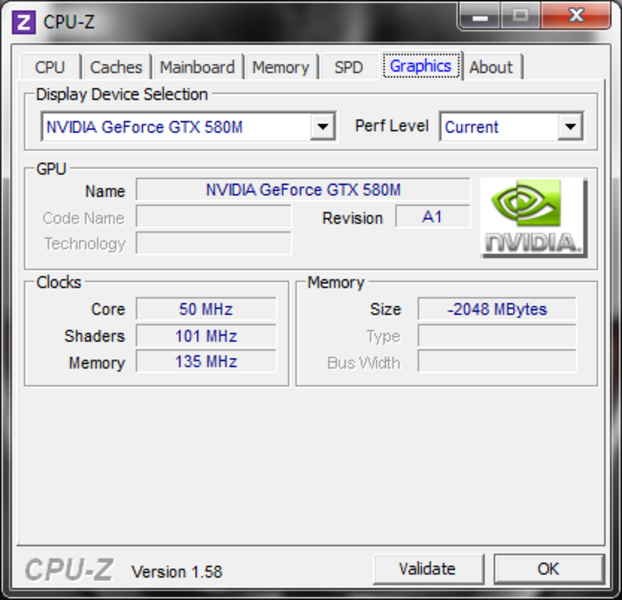 So it is not necessarily the fault of the GTX 580M SLI graphics cards. In idle use, it would also be possible to reduce it further, if you use the graphics card integrated into the processor (measured in the 6970M CF model). But because of the Windows restart that switching entails, the user will not often go through with it. For this hardware configuration, however, the result is very good. 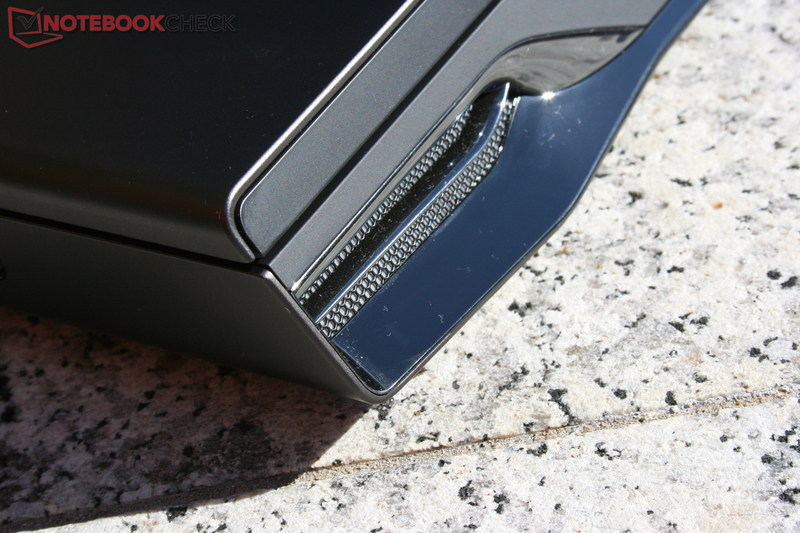 However much stress the machine is under, the all-important palm rest areas stay cool; and it is more likely to be the heavy weight of the machine that stops you using it on your lap, rather than the temperature in idle. 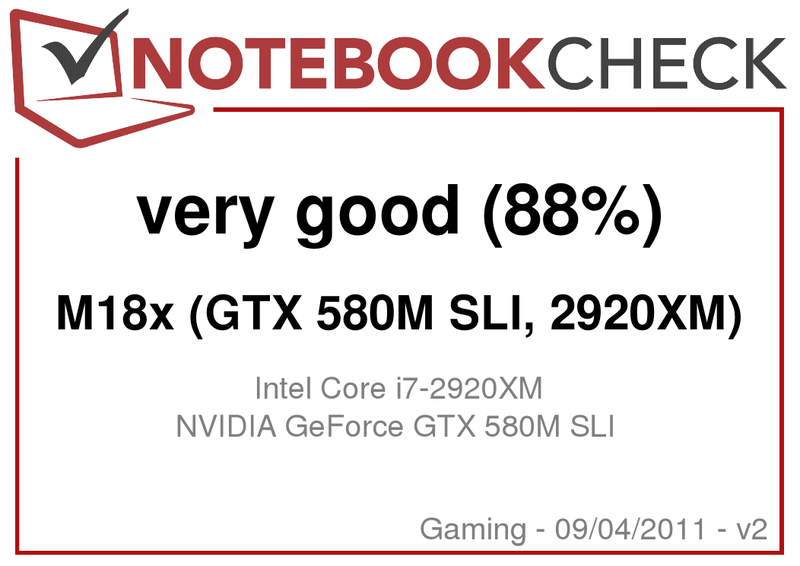 The notebook passed our multi-hour stress test with Prime95 and Battlefield Bad Company 2 (as the GPUs didn’t operate at full speed with Furmark) without any problems with the internal temperatures. The processor cores briefly reached 94°C according to hwinfo32, but then stayed in the 77-85°C range which is not at all critical (NB – temperature values estimated by hwinfo32). The graphics cards stayed at entirely safe temperatures, with maximums of 74°C and 72°C, and settling down to between 61°C and 66°C. (±) The average temperature for the upper side under maximal load is 35.6 °C / 96 F, compared to the average of 32.9 °C / 91 F for the devices in the class Gaming. (±) The maximum temperature on the upper side is 40 °C / 104 F, compared to the average of 39.3 °C / 103 F, ranging from 21.6 to 68.8 °C for the class Gaming. The M18x’s powerful hardware means that energy consumption is not exactly its forte. Only with no stress and the graphics cards deactivated (restart with processor graphics) could we get it down to a respectable 18W. Under extreme stress the energy consumption fluctuates between 161 and 305 Watts (depending on whether the 580M graphics cards are running at full or only minimal speed). As the temperature of the cards is still quite low at this stage, this could be happening in order to protect the 330 W mains adaptor. During Crysis 2 our instrument showed an average of 210 W in comparison (266 W with Prime95 switched on). So you can see that Furmark produces considerably more stress for the GPUs and therefore could possibly be forcing this protective function (?) to appear. Like the Radeon model, the 580M SLI version rates highly with a maximum battery life of six hours. This is down to the optional use of the integrated processor graphics following a restart (it is not possible to have Optimus with SLI). In practice you can expect a little over 3 hours when surfing over WLAN or watching videos. With maximum system load, the 12-cell battery runs out of steam after only an hour. Unfortunately both graphics cards run at a speed of only 50 MHz when the notebook is on battery power, so you also can’t enjoy any games during this hour. The performance of the underclocked GeForce graphics cards in this situation is down to the same level as the integrated graphics card; therefore it would be sensible to switch over to the processor graphics. 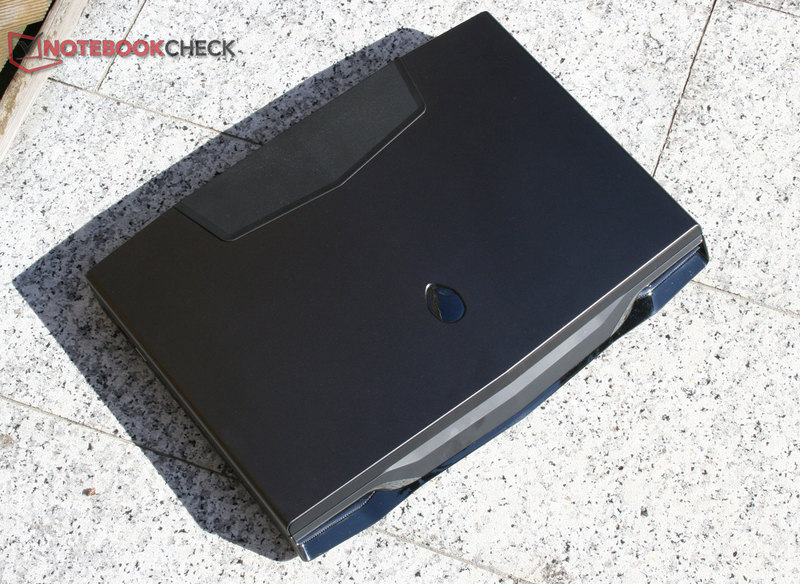 It turns out that the Alienware M18x is also an outstanding gaming notebook when fitted with two GeForce GTX 580M graphics cards in SLI mode. 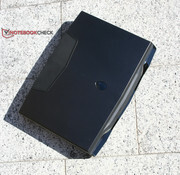 Weighing over 5.5 kg, its portability is severely limited, but at least it can be easily moved from one desk to another. Its aggressive design helps it distinguish itself from the competition; the black version is a little more restrained than the red one. 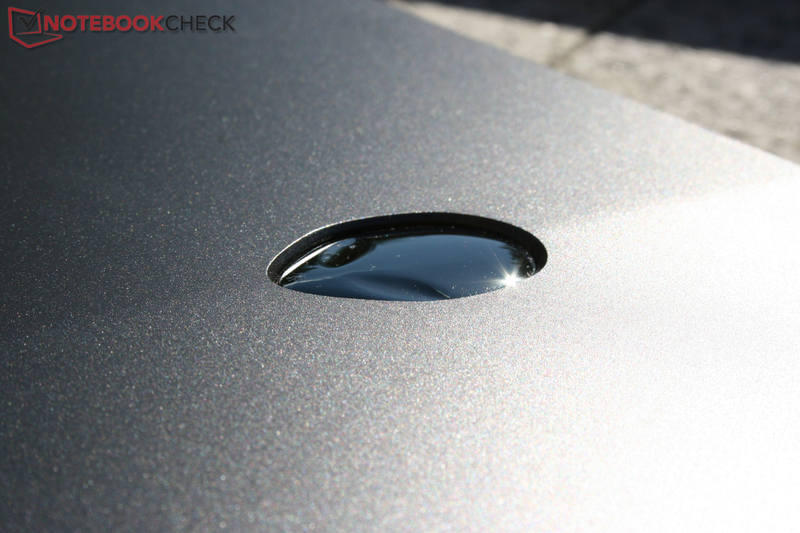 The use of aluminium and rubberized plastic also gives it a high-end appearance. 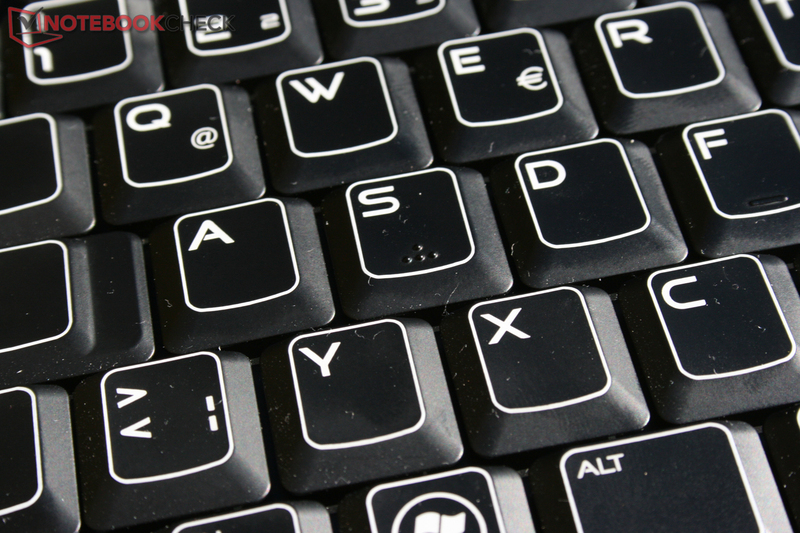 The input devices also make a good impression, although it is extremely annoying to find keyboard ghosting on a gaming notebook. But the range of ports gave no cause for complaint. USB 3.0, eSATA, and HDMI are among the highlights. The performance scores are impressive thanks to the high-end components, and are only narrowly beaten by the Clevo X7200 model fitted with desktop CPUs. The SLI system was able to best the older CrossFire set-up of two 6970Ms with a clear lead of 8%. Compared to the 6990M CF, the advantage should only be slight. 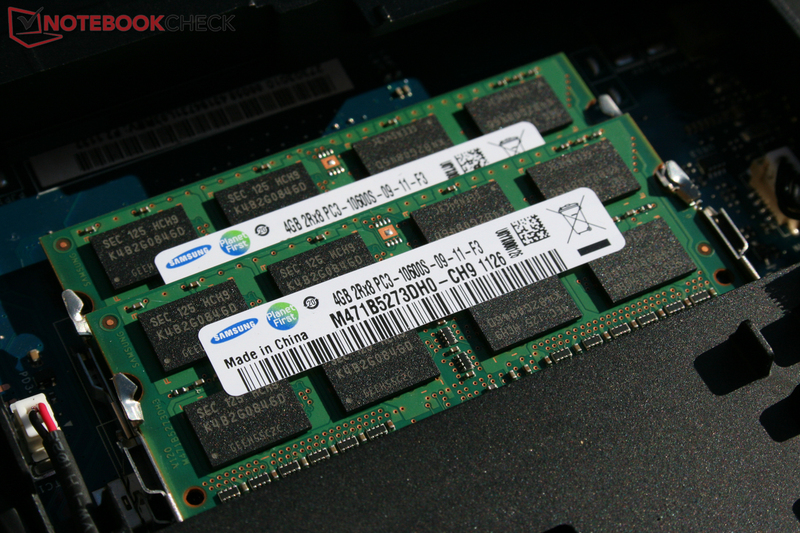 And so you can actually only criticise the somewhat outdated Samsung SSD in the M18x. We would currently recommend a manual upgrade (from a cheap HDD) to a more recent SSD of the Intel 510 or OCZ Vertex 3 variety. 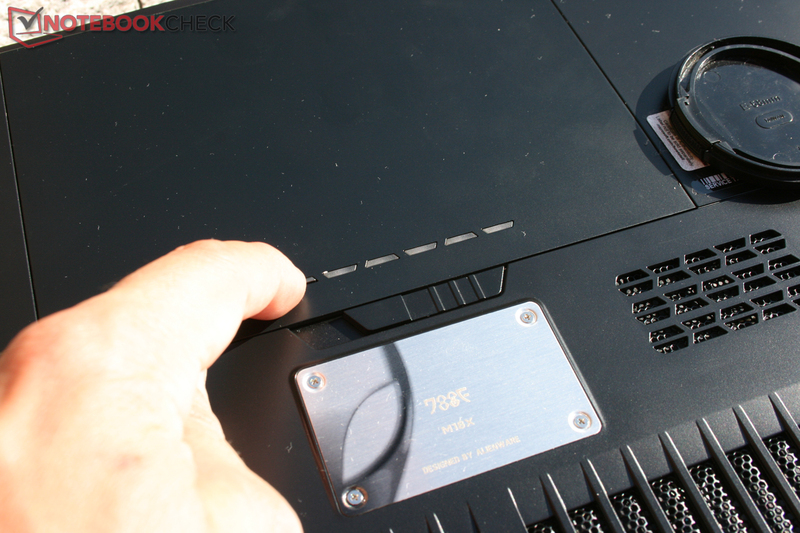 The cooling system was a little quieter than our 6970M CF review model. On the other hand we did measure slightly higher surface temperatures. This represents a slightly better compromise in our opinion. The only major drawback is the horrendous price of just over 5000 Euros for this review model. It means the M18x is highly likely to remain a niche product – but an extremely good one. Battery capacity can be shown by LEDs on the underside. …you can simply pull the large covering shell off to give access to all the components. The hard drive enclosure has rubber mounting and space for two 2.5-inch HDDs or SSDs. The aggressive Stealth design coupled with good build quality. A matt display, as per usual – reflections bother gamers too! How quickly you reach 5000 Euros when configuring the machine. 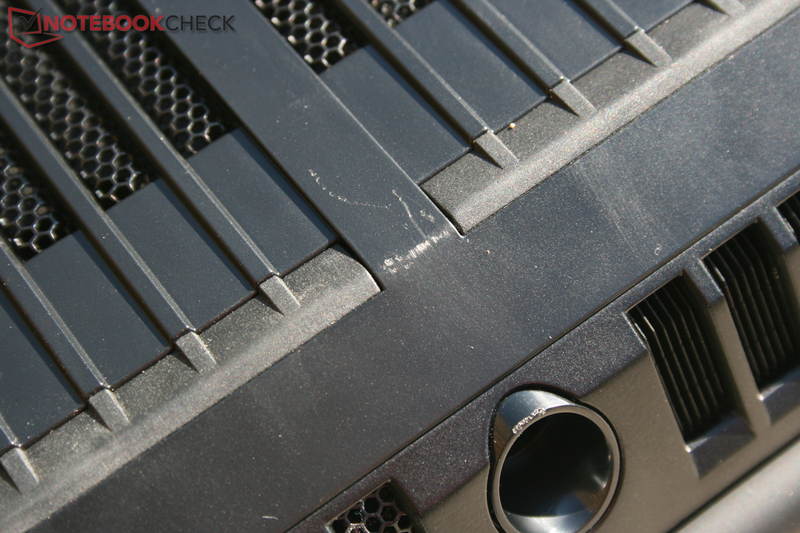 In terms of performance, really only the 17" Clevo X7200 Barebone (e.g. 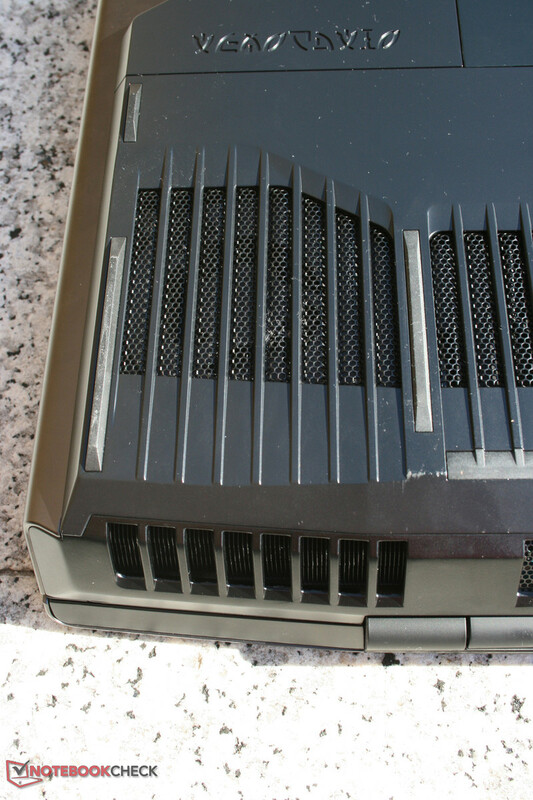 Eurocom Panther 3.0). 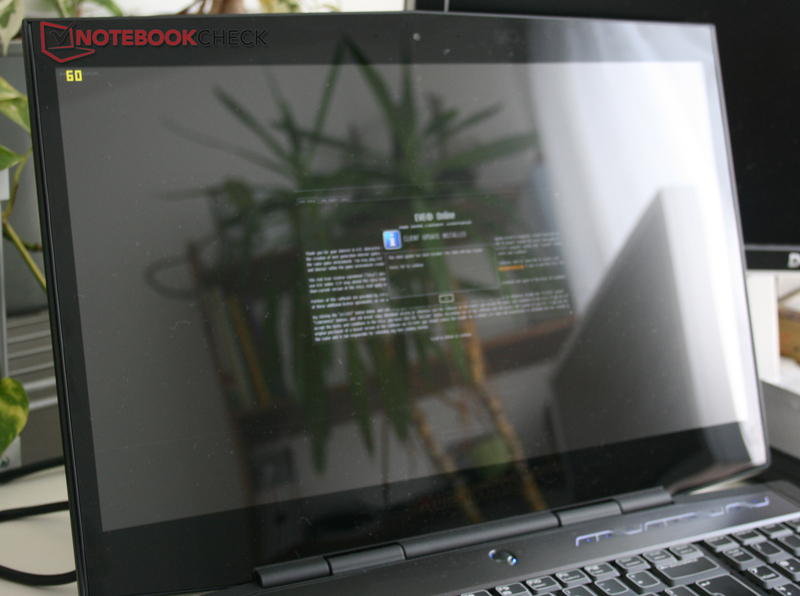 There are only a few 18" notebooks, e.g. 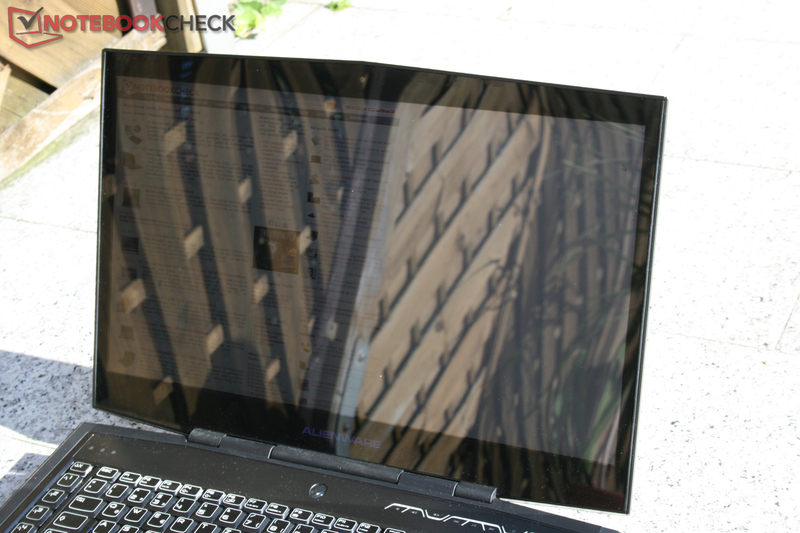 the much slower Acer Aspire Ethos 8950G.